Almost 10 years ago, a young lady was invited to apply for a teaching position in a then-newly established non-profit school in Malolos, Bulacan. That was the start of her Hungry Minds journey. 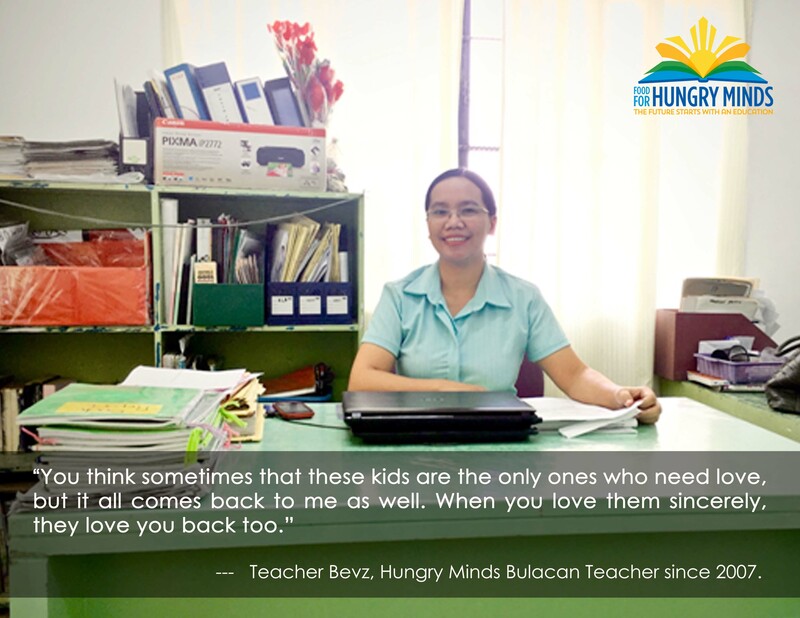 Today, she is known to many as Teacher Bevz – the class adviser of Grade 4 students in Hungry Minds Bulacan. Thank you, Teacher Bevz, for your commitment, dedication and love to Hungry Minds and to our kids! Hungry Minds community is truly grateful and happy to have you! Be part of moving kids forward! Book Reading Activity with Synchrony Volunteers! Hungry Minds Alumni Congress 2019 happening now!